Books, movies and more, Access PA is a combined catalog reflecting the holdings of over 2,600 Pennsylvania libraries and their combined collections of over 43 million items. Pennsylvania's statewide live chat reference service that is a free service to all residents of Pennsylvania, offering live chat reference 24 hours per day, 7 days per week. Online literacy resource for grades pre-k-3 that pairs classic video storybooks from Weston Woods with related nonfiction eBooks from Scholastic to help build a love of reading and learning. 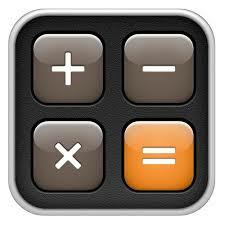 The Calculator Site features a variety of free financial calculators, imperial to metric converters and other useful calculation and conversion tools for general use. CHC is designed to support the information needs of patients and to foster an overall understanding of health-related topics. Content covers all areas of health and wellness from mainstream medicine to the many perspectives of complementary, holistic and integrated medicine. This resource includes full text of more than 240 health reference books and encyclopedias. High-quality material on the Internet in the subject areas of literature and language arts, foreign languages, art and culture, and history and social studies. Federal Student Aid - find the information you need online.